Continued above-average growth of 20%, to 1.2 billion baht, next year is expected by Bartercard Thailand. The company has 3,000 members and anticipates a 15% membership increase as well. Their present membership is about 1% of the 3.5 million small and mid-size enterprises in Thailand. According to Eurekahedge, a hedge-fund research company and consultants, hedge-funds experienced $44.5 billion of investment losses in September and $34.5 billion of investor withdrawals. Whereas, $10.5 billion of new money was received. For the third quarter as a whole, hedge-fund assets shrunk by a record $210 billion, or more than 10%, an amount that exceeds the $194 billion that flowed into the industry in all of 2007. Aggregate hedge-fund assets now total $1.72 trillion. Bank of England?s Governor Mervyn King, anticipates another financial crisis between 2013 and 2018. According to King, human nature doesn?t change. Therefore future crises can?t be prevented, as memories dim and lessons learned will be forgotten. The Kaufman Foundation says the average tech entrepreneur isn?t a 20-year-old whiz kid, but 39 years of age. The average founder is now pushing middle age, with nearly five times as many founders over 45 as were younger than 25, when their companies got off the ground. These new entrepreneurs had plenty of time to learn on the job: On average 16.4 years passed since they finished school and started their companies. Current U.S. Listing Information. . .
Ted Pawlik, 62, passed away a week ago. And while many in today?s barter industry might not know about Pawlik, he played an important role in getting ITEX?now the largest barter company in the U.S.?off the ground. 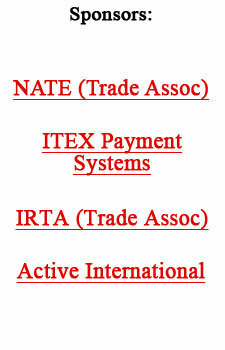 ITEX was incorporated in 1982 under founder Terry Neal in Phoenix, Arizona. Ted Pawlik, like Neal, had been in the office equipment field prior to joining up with Neal to become vice president of sales for the newly formed ITEX. Neal had lost everything, when he decided to manufacturer copy machines in Japan during the Carter Administration, which saw soaring interest rates and international currency fluctuations whipsawing his investments. Starting over, Neal, the married father of eight, was living in a motel in Phoenix when he started studying the retail trade exchange industry and the concept of the trade dollar. Providing the transportation for the new company was Pawlik?s motorcycle, and it was his Visa card that funded the startup. Additionally, Pawlik was the lead man when ITEX started converting both failed Exchange Enterprises offices and Barter System International offices into ITEX in 1983 and ?84. In 1993 Pawlik left ITEX, returning to the office equipment field in Phoenix. The proud father of two, he was a big supporter of AA and was sober his last 18 years. Although he had a bout with cancer, he never lost his zest for living and went skydiving on his birthday this past August. Small businesses are the Rocky Balboa of the economic world. Beat them to a pulp and they keep on fighting. Despite all the economic problems in October, U.S. small businesses still managed to grow in size by 0.28%. The SurePayroll Hiring Index ended the month at 11,219 ? 31 points higher than where the index stood in September. Year to date, small business hiring is up 3.0% nationwide. However, growth in the last two months is down relative to the prior two months of July and August. It appears that the end may be near for small business growth, and we predict a downturn in hiring for November and December. As the economic problems roll downhill, growing in size as they make their way down to Main Street, it would truly be remarkable if small businesses could still manage to grow on average. To be sure, there are winners in a down economy ? businesses that do better in tough times ? but on aggregate we expect net losses in hiring next month and into December. Our projection at this point is that small business hiring growth for 2008 will end up around 2.9%. Business owners have been able to add new employees without grimacing too much because salaries are lower. In fact, salaries declined by 0.39% in October. That was not as bad (from the employees? perspective anyway) as the previous month?s 0.51% decline. As such, our data indicates that salary declines may be slowing down. Still, we are projecting lower salaries through the end of the year. Year to date, salaries have dropped 2.2% on a national level. We are expecting the 2008 salary decline to end the year having dropped 2.5%. As of the end of October, the average small business salary now stands at $31,893. The SurePayroll Hiring Index is at 1,038, dropping 4 points. For folks who are out of work, becoming an independent contractor may be the answer. In uncertain times, employers hedge their bets by bringing on contractors instead of hiring full-time employees. By doing so, they can save on payroll taxes and on benefits. Use of contractors was up 0.6% last month. That?s the ninth straight month that we?ve seen an increase in the use of independent contractors. The SurePayroll Contractor Index ended October at 3.67%, up from 3.64% in September. When we say the Contract Index is 3.67%, that means that for every 100 workers engaged by small businesses in October, 3.67 are 1099 independent contractors and 96.33 are W2 employees. In rough terms, this suggests that 1 out of every 27 workers in the United States is working as an independent contractor, responsible for their own benefits and burdened with costly self-employment taxes. On a regional basis, the Midwest, Northeast, and South experienced hiring growth in October, whereas the West experienced a contraction in hiring. The West had recorded 18 straight months of hiring growth through the end of February 2008, but has shown weakness of late. We?ve had five down months for hiring in the West in the most recent seven months. Monthly hiring gains for these regions were 0.7%, 0.9%, 0.3% and -0.1% respectively. As it did in September, the Northeast led the country in small business growth in October. With all of the woes on Wall Street, we would expect that trend to end soon. In October, average salaries declined in all regions, except the West. Salary changes for the Midwest, Northeast, South and West were 0.2%, -0.8%, -0.8% and 0.4% respectively. You can get paid more in the West, but it may be tougher to find a job there. On a year-to-date basis, hiring changes for the Midwest, Northeast, South and West now stand at 6.2%, 7.9%, 5.7% and -0.3% respectively. The West is the only region where hiring is down year to date. Year to date salary changes for the Midwest, Northeast, South and West are -1.6%, -6.1%. -7.9%. 4.8% respectively. One can argue that the Midwest is doing the best this year in surviving the down economy because they have had respectable hiring growth with acceptable salary declines relative to other regions. As depicted in the graphic below, year-to-date results vary from state to state. The Scorecard comprises data from all fifty states but we pay close attention to states that we have earmarked as ?benchmark states? which include Arizona, California, Colorado, Florida, Illinois, Maryland, Michigan, Minnesota, Nevada, New Jersey, New York, Oregon, Pennsylvania, Texas, Utah and Washington. For more information go to www.surepayroll.com.